Published: Dec. 20, 2015 at 04:02 p.m. 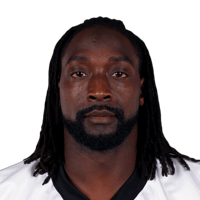 Published: Nov. 8, 2015 at 02:16 p.m.
Charles Tillman shows he's still got it! Published: Nov. 2, 2015 at 08:47 p.m.
Colts Andrew Luck tries to force the ball and is picked off by Charles Tillman. Published: Aug. 28, 2015 at 08:00 p.m.
Carolina Panthers cornerback Charles Tillman rips the ball away from New England Patriots wide receiver Aaron Dobson for an incredible interception.